Описание: Представляем Вашему вниманию третье издание учебно-методического комплекса английского языка ENGLISH FILE от издательства Оксфорд. - другая структура учебника и новые контексты к старым темам и грамматике. По сравнению с New English File в новой третьей редакции учебника English File многие задания оформлены в контексте современных технологий. Авторы сделали вывод, что за 10 лет, прошедших с момента выхода предыдущего учебника, весь мир переселился в свои смартфоны, планшеты, электронные ридеры и иже с ними и окончательно перешел в виртуальное и онлайн-пространство. English File third edition offers more support for teachers and students. Teacher's Book provides over 100 photocopiables to save preparation time, plus extra tips and ideas. iTools brings your classroom to life with the Student's Book, Workbook AND Teacher's Book photocopiable activities, on-screen and interactive. iTutor enables students to revise, review and catch up if they've missed a lesson with all audio and video, plus Grammar, Vocab, Pronunciation, Reading and Listening. Students can learn and practise sounds, words and sentences in context - and take wherever they go - with the Pronunciation App. 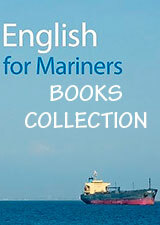 Sample materials available from the English File website. - Oxford Online Skills Program offers students targeted and motivating practice to improve reading, writing, listening and speaking. Teachers can also use our online Learning Management System to easily manage and measure student progress. - Progress tests for each File with clear signposting to additional related practice and reference. 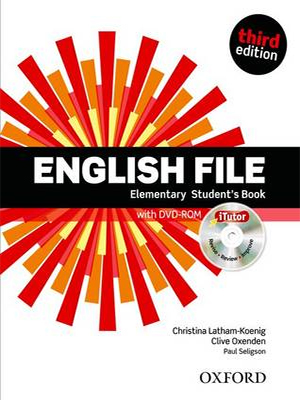 English File third edition is true to the English File formula: clearly presented language input in every File; interesting texts and topics that motivate students; activities and exercises that practise language in a context that is relevant to a busy adult's everyday life. With new, easy-to-manage structure, fresh, contemporary topics, more listening and a brand new video filmed on location (London, New York) English File third edition supports teaching and learning better than ever. iTools for teachers: a digital teaching tool that brings the classroom to life with interactive course materials – on interactive whiteboard, projectors or screen. All your digital teaching needs on one disc: complete Student's Book with audio, video answer keys and interactive activities; complete Workbook with audio and answer keys; Teacher's Book photocopiables with answer keys; Grammar PowerPoints, Vocabulary flashcards, interactive Sounds Chart; plus highlight, zoom, spotlight and other built-in tools to make teaching even easier. iTutor DVD-ROM accompanies the Student's Book to encourage home-study and further practice. With all Student's Book audio, video, grammar and vocabulary exercises in one place, catch-up, revision and home-study have never been easier. Also includes mobile content, downloadable to compatible phones to provide access to practice materials on the go. Please see iTutor tab for further details, features and benefits. iChecker enables students to test their knowledge and assess their progress. Includes all Workbook audio, self-assessment tests, instant answers and Study Link references to the relevant Grammar Bank pages of the Student's Book. English File Pronunciation App for smartphones gives students access to pronunciation practice anytime, anywhere. Using the much-loved English File Sounds pictures for teaching pronunciation in an easy-to-remember way, this app comes packed with interactive features such as 'touch and listen' 'record and compare' and the pronunciation game. To find out more, please see the English File Pronunciation App tab.